Little is known about this small factory in the town of Este in the province of Padua in the Veneto. The origins of the factory stem from the work of Jean-Pierre Varion who was probably a sculptor recorded at Vincennes between 1749 and 1752. He appears at Le Nove from 1753 where he married Fiorina Fabris, a daughter of a workman there. According to a lawsuit, he deserted the factory in 1765 and subsequently attempted unsuccessfully to make porcelain in Bologna and then in Modena in 1776. 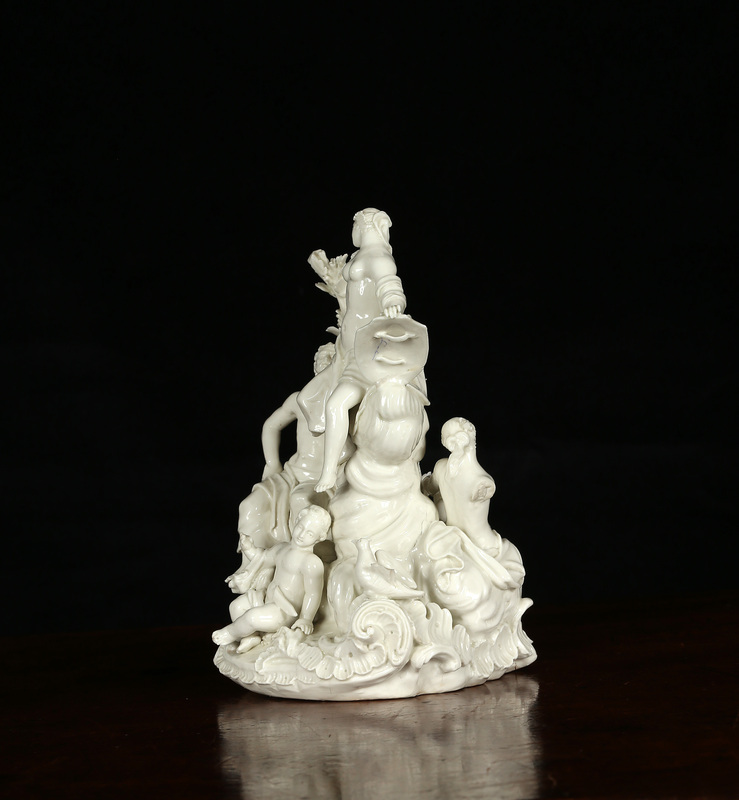 He arrived in Este in 1778 where he went into partnership producing terraglia or creamware with a goldsmith, Gerolamo Franchini, who had experience of modelling in clay. 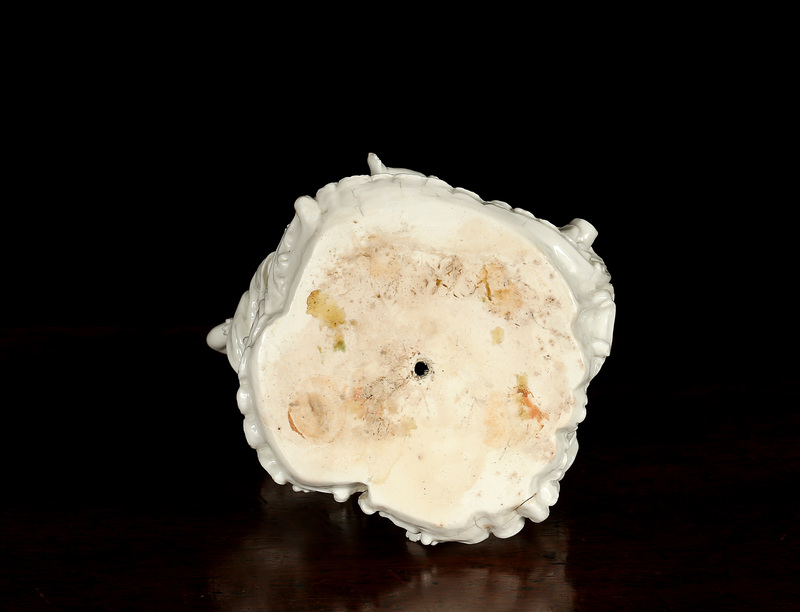 Varion appears to have discovered a formula and suitable clays to produce porcelain but died in 1780. It was left to his widow Fiorina Fabris to succeed and establish the porcelain factory with another worker, Antonio Costa, from Le Nove. 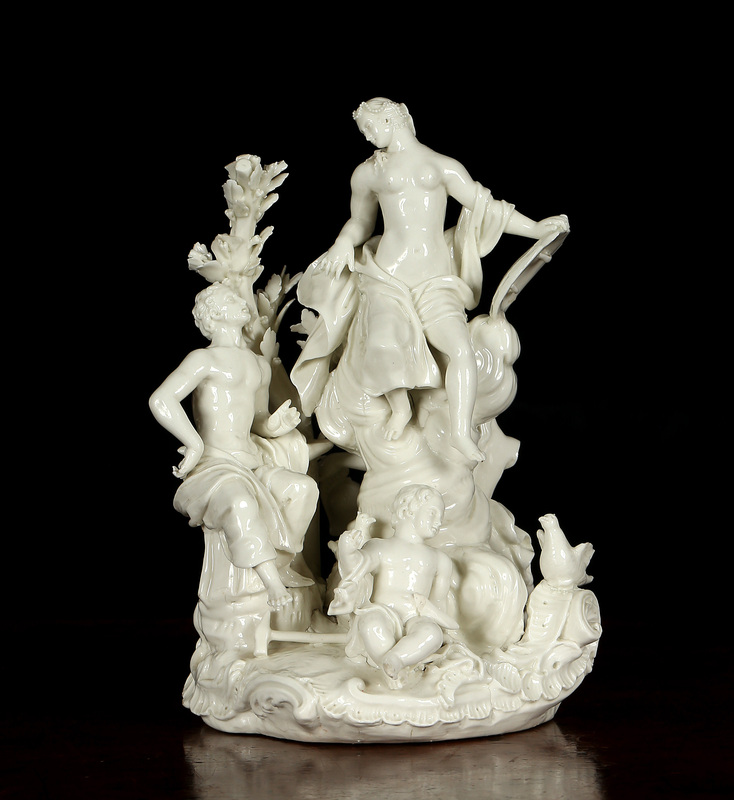 In 1781 she gained an exemption from customs duty for materials to make terraglia and a privilege allowing her to make porcelain. 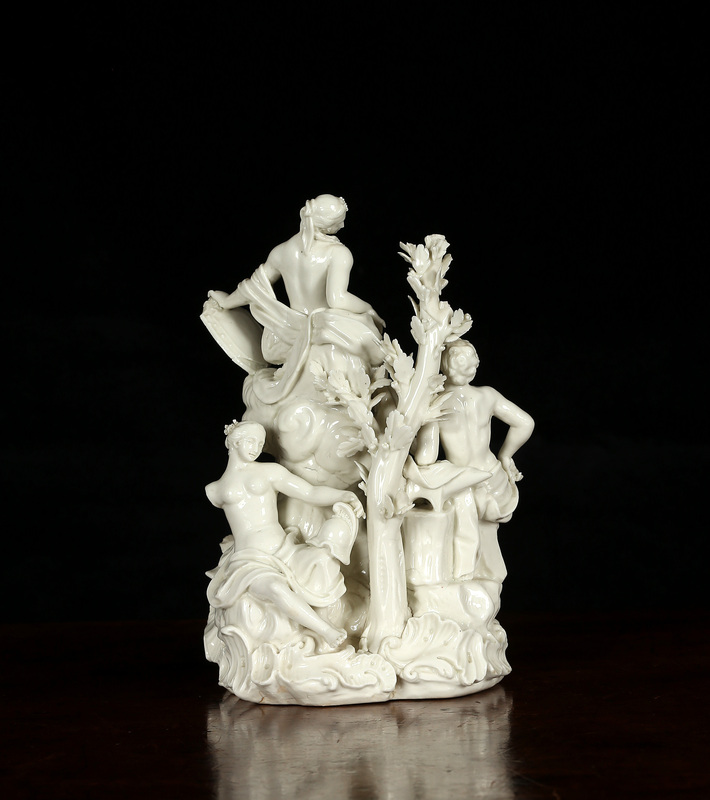 The creamy hybrid paste and distinctive detailed modelling is unlike any other Italian porcelain. The basis for the attribution are two large figures of the Virgin and St John inscribed ‘Este’ and ‘Este 1783’ in the Victoria and Albert Museum. The right arm of nymph at the back missing, left wing of dove, minor damage to extremities, no restoration. For a discussion of the factory see Arthur Lane, Italian Porcelain, Faber, 1954, pp. 25 to 27 and plate 41 for another example of this model in the Victoria and Albert Museum.